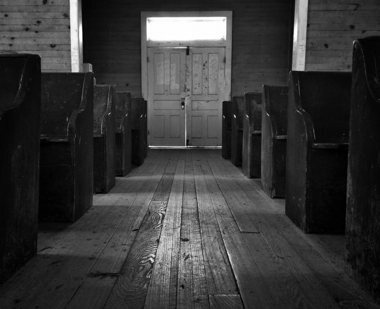 Every Sunday while growing up, I ran down the aisle at my church and slid in the pew beside Mrs. Rose. Mrs. Rose was the church lady who children regarded with wonder, trying to figure out if she was related to Mary Poppins and borrowed her famous bag every Sunday morning. It held hundreds of peppermints that flowed freely out of her purse into our greedy hands. Mrs. Rose’s skill set included smuggling coloring books and goldfish into the sanctuary undetected by the deacons, giving the best hugs in town, and providing the cushiony comfort of her lap for anyone below the age of 7 who couldn’t stay awake during the pastor’s 45-minute sermon. I was extra special because, when the other children ran off to their respective family pews for the service, I sat with Mrs. Rose for ALL of big church. I was Mrs. Rose’s special girl. On Sunday afternoons, Mrs. Rose had me over to her house on the farm. At lunch, she would pile heaps of green bean casserole onto my plate and afterward let me pet her horses Rebel and General Lee. (Yeah, I know. That’s what happens when you live in a place that forgot the Civil War had ended.) I played in the playhouse that her husband had built for their grandchildren, which looked like an actual, real, live house, with shutters and carpet and everything. It was an imaginative girl’s daydream realized. Mrs. Rose taught the “new believer’s” class in room 205. I took that class as a Mary-Janed seven-year-old (the shoes, not the plant) and learned about love and sacrifice and justice and faith and hope. Mrs. Rose taught me what it meant to follow Jesus. Mrs. Rose taught me how to be a Christian. She gave me my passion to know and serve Jesus. And then, one day, Mrs. Rose disappeared from church. I was devastated, and thought of her longingly every Sunday morning that I now sat alone or with a couple of tittering teenage girls, straining to hear the preacher over their giggles. Years later, I learned that the reason Mrs. Rose left my church was because a white woman in our congregation had married a black man. I was confused and heartbroken. How does a young girl reconcile the loving woman she knew, who loved Jesus fiercely and seemed to love people only a little less, with such an action so blatantly rooted in racism? My faith journey is filled with ironies. Growing up in the rural South, I have seen American Christianity at its best as well as its worst. And it has forced me to push my faith in creative ways, for better or for worse. I grow frustrated with the demand that I “pick sides” and villainize the “other.” The other who sometimes smells like peppermints and green bean casserole. The other who builds playhouses for their grandchildren, but invites friendless ones to play there too. The other who looks like Mrs. Rose. I believe that Jesus loves imperfect people, and maybe even uses them too. The thieves, the tax collectors, and maybe even the racists. There is more to people than their best or worst moments, and I need to be reminded of that often. I am not suggesting that the church fail to call out racism, injustice, or any kind of sin in either ourselves or others. I am asking for grace to see everyone the way Jesus does. Whenever I am tempted to judge someone based on what they get wrong, I pray that I will have to courage to look deep into their eyes and see Mrs. Rose there. To see myself there. We’re all just sinners, saved by grace. Rebekah Bell is the founder of Camp Here and Now, a summer day camp ministry for under-resourced children in Laurens, South Carolina. She is currently a student at McAfee School of Theology in Atlanta, Georgia studying Non-Profit Leadership. Rebekah enjoys spending time with her three cats, doing needlework, and sampling exotic teas.